Caring for the condition and health of your hair is becoming a lifestyle. The so called “hair-lovers”, the women who devote a lot of time and attention to their hair, promote the cosmetics and styling ideas which improve the vitality of the hairstyle but at the same time do not work to its disadvantage. Among healthy hair trends, you can find simple ways to create beautiful curls and waves without the use of high temperatures. So – curlers, straighteners and curl-dryers make way, please, for more hair-friendly solutions! Curls and waves are hairstyles that work well with both long and medium-long hair. They look very becoming at work, school, and party, on a date and on the beach. Perfect hairstyles? Well, almost. They would be if only they were not created with a high-temperature curler or straightener. Fortunately, there are ways to get perfect curls without the risk of damaging the hair structure. All you need to produce lush curls and waves is just a few cosmetic products for curly hair and a bunch of simple accessories – elastics, pins, hair bands, rollers, curlers, and wet wipes (yes!). The method of our grandmothers and mothers is the most popular way to get curls without the use of heat. First, wash your hair and apply the conditioner dedicated specifically for curly hair in order to emphasize the curl and minimize the frizz. Here we can recommend Cameleo salt-free shampoo and conditioner with Kerestore 2.0 active which rebuilds damage to the hair structure, regenerates and provides excellent elasticity. Next, thoroughly comb slightly damp hair; you might also apply a small amount of hair foam to strengthen the curl effect. Wind the hair strands, one by one, around the rollers. 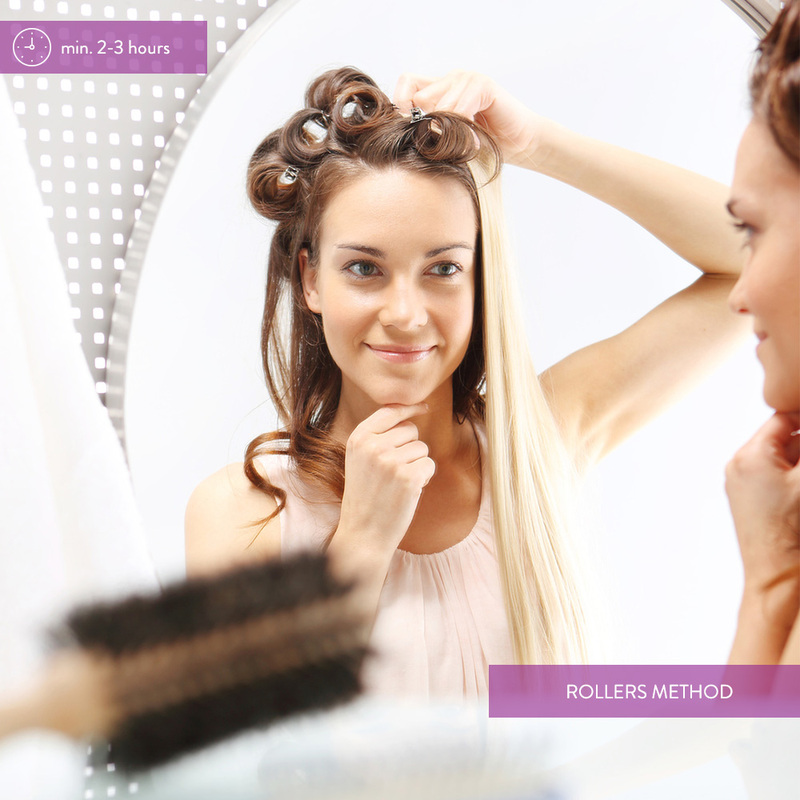 You will get the best effect if you leave the rollers overnight, however, 2-3 hours is also enough (but remember that your hair should be completely dry before you take off the rollers). Finally, carefully unwind your hair, comb the curls with your fingers and apply hair spray all over your hair to keep the curls intact for hours on end. 2. For damp hair – hair band and… socks. Sounds peculiar? Certainly. But the maximum curl effect is proven. Method one is the hair band. Slightly spray your hair with water, put on the elastic hair band in such a way that it overlaps the forehead, and start wrapping your hair around it. Leave the band overnight, unwrap your hair in the morning and spray it with lacquer. 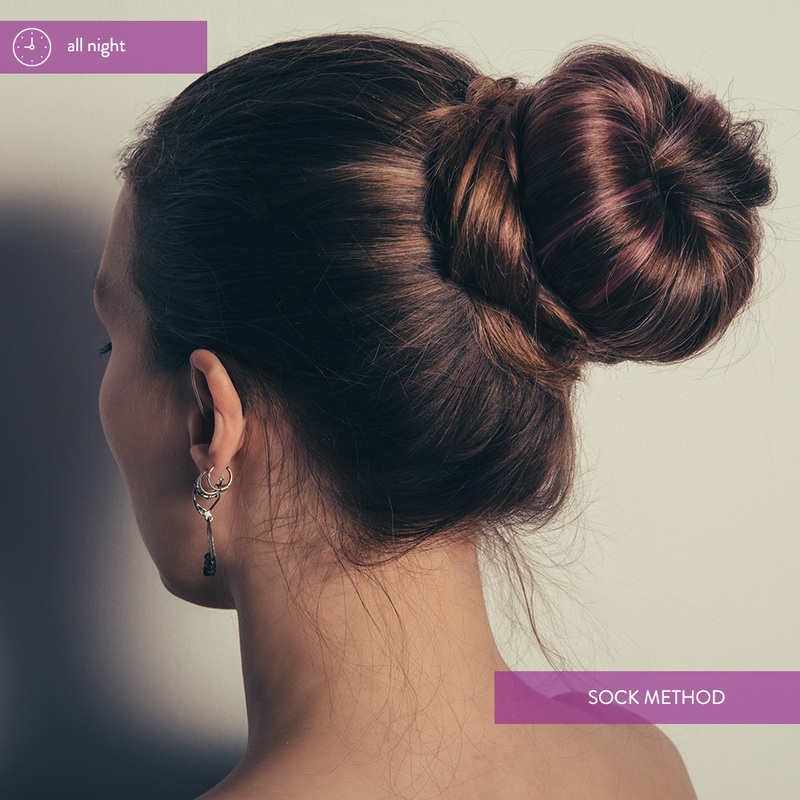 Method 2 is the sock. It’s a cheaper version of a bun filler. Cut off the finger end of the sock and then roll it in such a way as to create a thick elastic. Tie your hair in a high ponytail and spray with water. Spread the hair around the sock (aka elastic band) and wrap the strands around it, inserting them underneath. Leave the bun overnight, unwrap your hair in the morning and brush it slightly with a wide tooth comb. Each hairstyle needs to get some extra hold with lacquer to improve its elasticity and prolong the hairdo life. Try Cameleo hair spray (strong) which contains D-Panthenol and silk proteins to protect the hair from drying and weighing down. Apply some foam on dry hair and prepare pencils, crayons or sticks. 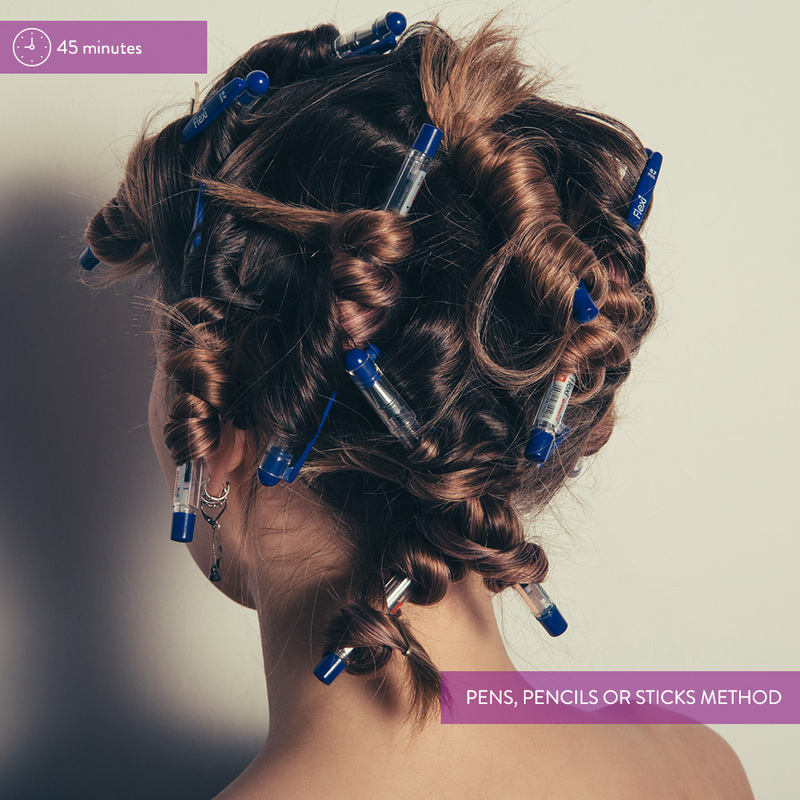 Divide your hair into thin strands and wind each one around the pencil, going from roots to ends. Then secure the wound hair with a slide or clip. Leave the hair for 45 minutes, then unwind each strand and comb with your fingers. The second way is to create the so-called “snails” or “rings” with the use of slides. 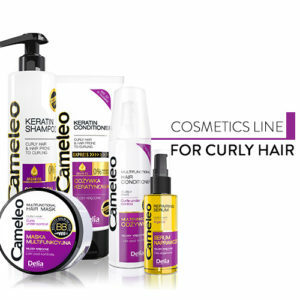 Just like before, apply some foam onto the dry hair or spray it with Cameleo multifunctional liquid keratin for curly and wavy hair which, thanks to the active ingredient complex, provides the perfect curl retention, regardless of humidity outside. Next, split the hair into three parts (two side parts and a bottom part). Starting from the bottom part, wind up your hair, strand by strand, on your index finger (from roots to ends), creating the “rings” that you finally secure with the slide. Leave the rings for 45 minutes, then carefully unwind the hair. A method with wet wipes is also worth a try. Apply a few drops of Cameleo repairing serum for curly & wavy hair to your hair ends in order to instantly strengthen and moisturize your curls, and also to prevent them from frizzing. Then wind up separate strands on wet wipes, tying them at the root of the head in such a way that they look like “snails”. Thanks to their moisture, the wipes hydrate the hair and add excellent shine. Leave the “snails” for the night. In the morning carefully unwind the hair and spray every strand with lacquer. If you want to make the extreme curl effect last longer than a few hours, try the perm lotion. 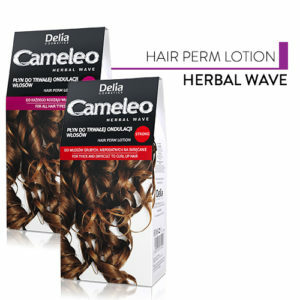 Our Cameleo Herbal Wave lotion dedicated either for every hair type or specifically for thick and curl-resistant hair, will give you abundant waves and extreme curl that lasts for up to a few weeks. The additional accessories you need is a bunch of rollers to form the curls. Thanks to the innovative composition of revitalizing nutrients in our perm lotion, after the treatment the hair remains bouncy, full of energy and sheen. Keratin perfectly regenerates and smooths the hair structure, and wheat germ oil deeply moisturizes, providing excellent hair care and healthy shine. 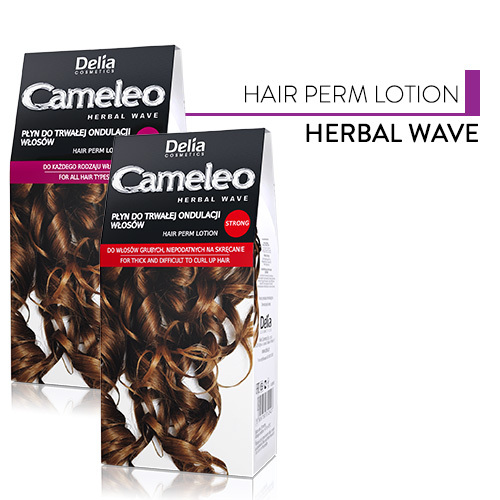 Keep your hair healthy and shiny with Cameleo BB for Curly & Wavy Hair and Cameleo Herbal Wave Lotion, and enjoy the perfect curls without the damaging high temperatures of curlers and straighteners!